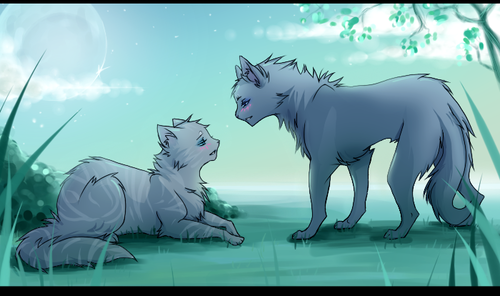 Silverstream & Graystripe. . Wallpaper and background images in the Warriors (Novel Series) club tagged: warriors silverstream graystripe. This Warriors (Novel Series) fan art might contain lippizan, lipizzan, lippizaner, लिपिज़न, लिपिज़ेन, and लिपिज़नेर.